naturally richer Natural Capital Investment Plan for Surrey for Surrey launched on 1st March 2018. Developing our Investment Plan for naturally richer is underway with one of our first projects looking at how taking a natural capital approach and developing Green Infrastructure can help drive economic regeneration in an area. The presentations from our first workshop can be found here. Following our launch of naturally richer: A Natural Capital Investment Strategy for Surrey on 4th November 2015 we will be attending the World Forum on Natural Capital in Edinburgh this week. Follow our updates @SurreyNP #natcap15 for news and views throughout the event. 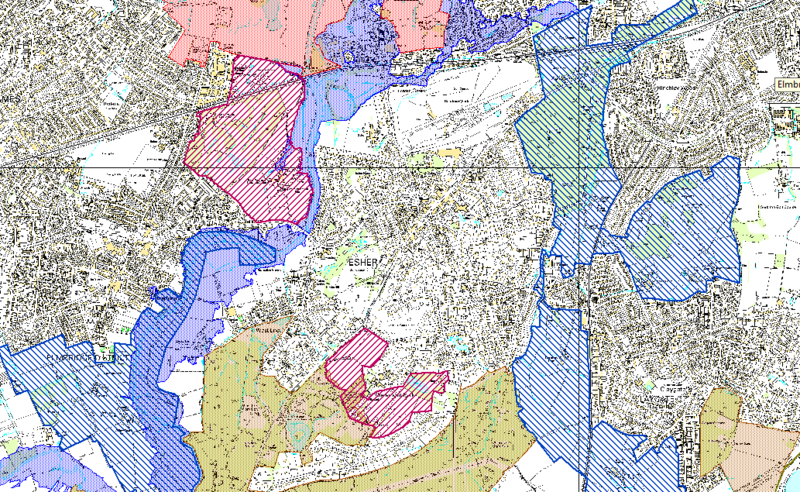 Download naturally richer – A Natural Capital Investment Strategy for Surrey. Surrey Nature Partnership launch their business plan for 2015-18 at Canon headquarters, Reigate, on 23rd February 2015. The concept of developing a Natural Capital Investment Strategy for Surrey was discussed and talks were given by Dr Tom Tew, Chief Executive, The Environment Bank; Inder Poonaji, Head of Sustainability, Nestle S.A and Mark Pearson, Director of Business Growth, Surrey Connects @ Surrey County Council. Together with Health and Wellbeing Surrey and Surrey Wildlife Trust, Surrey Nature Partnership hosted a ‘Green Space, Physical Activity, Mental Health and Well Being’ workshop on 5th December 2014. A wide range of stakeholders attended including representatives from the NHS, Local Authorities, health and social care providers, third sector organisations and landowners. Delegates engaged in a workshop which captured the ideas of the group on issues affecting access and use of green space in Surrey, potential challenges and goals for the future. Surrey Nature partnership hosted a ‘Future Skills & Employment’ workshop in November 2014 which brought together a number of organisations. The aim of the workshop was to develop a 3 – 5 year programme initially focused on providing training in a range of disciplines within the environment sector to increase employability. Surrey Nature Partnership help to run a collaborative Habitat Creation Workshop on 17th November 2014. The aim of the workshop was to identify specific sites that could offer potential for biodiversity creation or restoration as well as areas that will link existing sites as set out in the recommendations of the Lawton Report. Cate Newnes-Smith, Chief Executive Officer of Surrey Youth Focus has agreed to join the Board of the Surrey Nature Partnership. Surrey Nature Partnership leading storytelling session at Natural Capital Initiative Conference this week. In preparation one of our partners, Surrey Connects ran a Business Roundtable discussion on natural capital recently. To find out more please read my blog here. Surrey Nature Partnership board visit the landscape-scale wetland restoration project at Nutfield Marshes, Redhill. 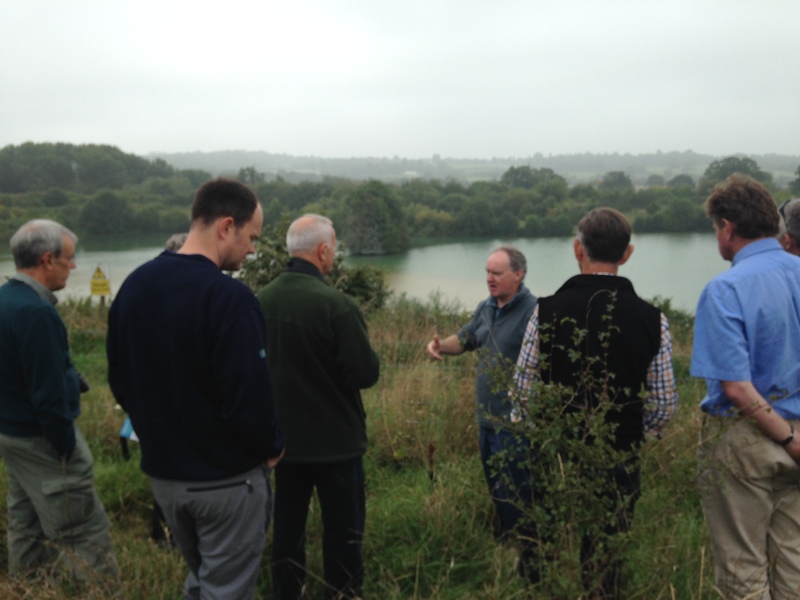 The board were taken on an informative tour across a variety of wetland sites, lead by Simon Elson, Principal Environment Enhancement Officer at Surrey County Council. The Nutfield Marshes project has created four wetland nature reserves, restored from sand workings along the Redhill Brook, which now form a continuous 3km wildlife corridor. Simon illustrated that by ensuring restoration issues are addressed early on in large mineral projects, the transformation of industrial landscapes back to healthy, functioning natural areas, is entirely possible. Nutfield Marshes now provide habitat for a variety of wildlife, function as vital flood alleviation for Redhill and provide communities with an accessible natural space to enjoy. Government gets red card for wildlife protection, flooding prevention and air quality. The Government has been given a ‘red card’ for its efforts to reduce health-damaging air pollution, protect biodiversity and prevent flooding in a scorecard assessment of its green policies during this Parliament produced by the Environmental Audit Committee. The report comes as the main political parties prepare for their manifesto-setting party conferences. The Committee calls for the creation of new legal commitments to protect the environment, to be overseen by a new ‘Office for Environmental Responsibility’ to ensure all Government policies are compatible with those commitments. Biodiversity offsetting cannot compensate for ‘old growth’ habitat loss. ‘Biodiversity offset’ schemes, which aim to compensate for the loss of unspoilt habitats to development, could lead to an overall loss in biodiversity, a recent study warns. Furthermore, the researchers highlight the considerable time needed, often hundreds of years, to fully recreate an ecosystem. The number of wild animals on Earth has halved in the past 40 years. The global loss of species is even worse than previously thought. Creatures across land, rivers and the seas are being decimated as humans kill them for food in unsustainable numbers, while polluting or destroying their habitats, the research by scientists at WWF and the Zoological Society of London found in its new Living Planet Index. Surrey is the second largest contributor to the UK economy, with an annual output of £35bn. Just 5 minutes of exercise in a green space can boost mental health. Surrey is the most wooded county in Great Britain with 22% of woodland, compared to a national average of 12%. 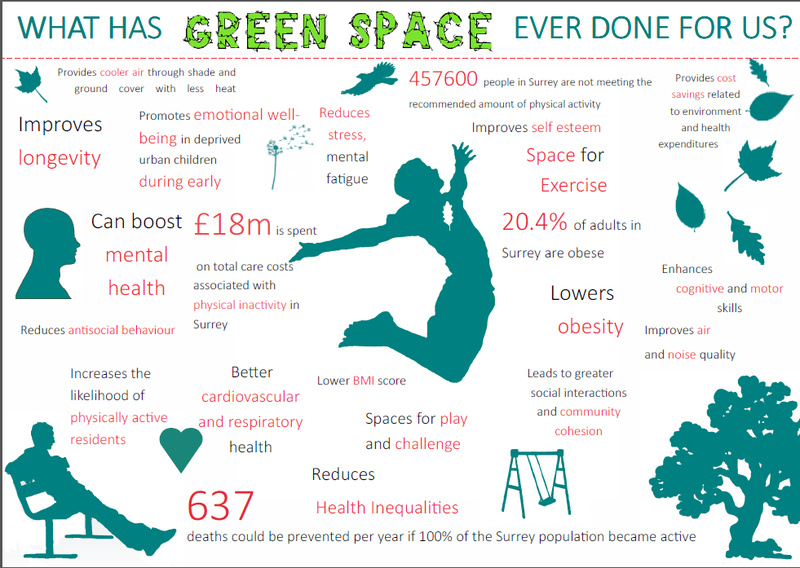 637 deaths could be prevented per year if 100% of the Surrey population became active.